From director Sanjay Rawal comes an uplifting, intimate documentary film of endurance runners who push themselves to the limit, as they endeavor to challenge the boundaries of what is possible. 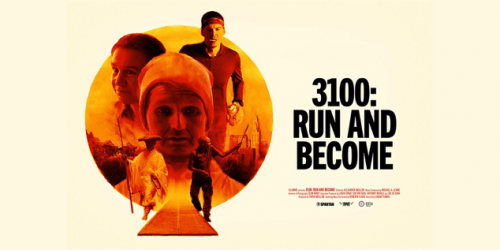 April 14, 2019 /MarketersMedia/ — Following theatrical success comes the digital release of “3100: Run and Become,” a documentary featuring unassuming Finnish runner Ashprihanal and Austrian cellist Shamita, in their attempt to complete the world’s longest certified foot race: The Self-Transcendence 3100 Mile Race. Competitors from around the world gather to run a distance that approximates a U.S. cross-country run — a total of 3,100 miles. The race requires 5,649 laps around one city block in Queens, NY; a total of 60 miles per day for 52 days. Runners start at six a.m. and may run until midnight every day. A meditation on running and the human spirit, the film interposes the race with the heroic stories of three other runners around the world: Shaun Martin a Navajo runner and Board Member of Wings of America, Gaolo of the San Bushmen of the Kalahari and Gyoman-san of the Monks of Mt. Hiei in Japan. Running is as universal an activity as sharing a meal, uniting lands, nations, and cultures. The film thus takes the audience from the heart of the astonishing event in Queens, NY, to sites around the globe where ancient cultures have held running as sacred for millennia, including the Kalahari Desert, Arizona’s Navajo Reservation and the sacred mountain temples of Japan. Acclaimed Sean Kirby and Alex Meillier worked as director of photography and editor, respectively. Director Sanjay Rawal previously helmed the award-winning documentary ‘Food Chains’ (with Eva Longoria as executive producer and narrated by Forest Whitaker).